We are a leading Manufacturer of eco solvent ink and inkjet ink from Delhi, India. With the extensive knowledge and experience in this respective domain, we are offering an extensive range of Eco Solvent Ink. Known for its moderate dry time, good compatibility, the given eco solvent ink is processed by our experts using quality material that is sourced from the authentic vendor of the industry and advanced technology according to the quality norms. Customers can avail this eco solvent ink as per their requirements at market existing rates. 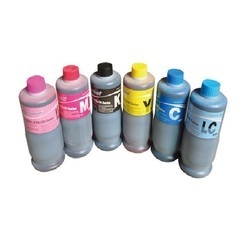 With the extensive knowledge and experience in this respective domain, we are offering an extensive range of Inkjet Ink. Known for its moderate dry time, good compatibility, the given eco solvent ink is processed by our experts using quality material that is sourced from the authentic vendor of the industry and advanced technology according to the quality norms. 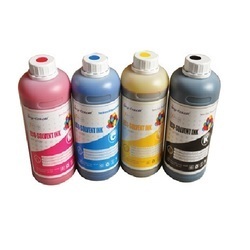 Customers can avail this eco solvent ink as per their requirements at market existing rates.